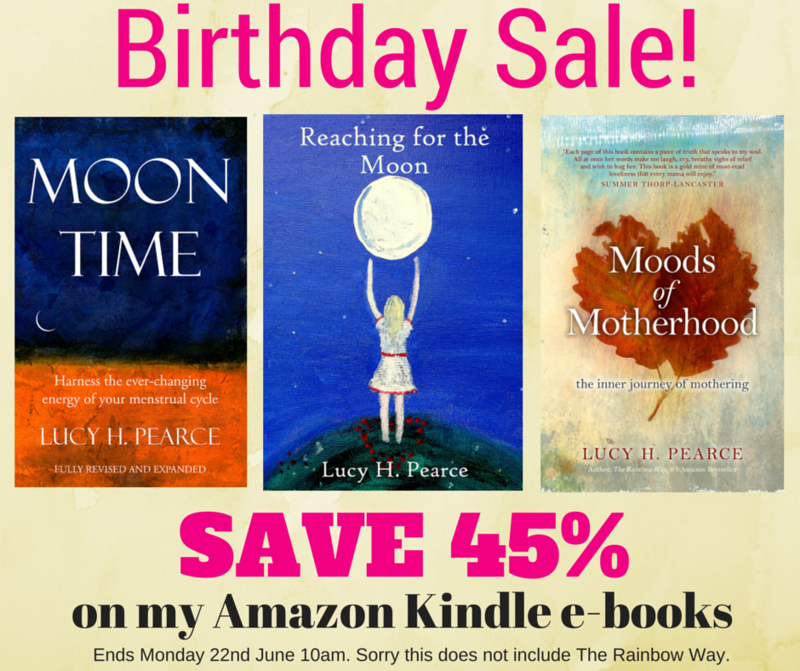 To celebrate my birthday there is almost half price off my books on Amazon Kindle. 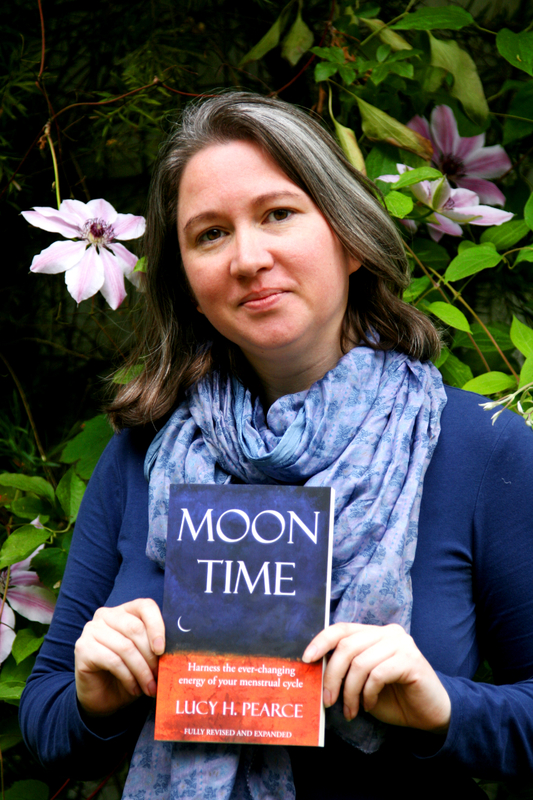 This entry was posted in Books on June 19, 2015 by Lucy H. Pearce. 55 years after the release of the Pill, we think birth control needs a second, and thorough, look. Women fought fiercely to get the birth control pill, but now we seem to be fighting to get off it. In 1960 the birth control pill was all about progress, but does it still fit with our values today? Sweetening the Pill is a fabulous book which explores the hidden dangers in the contraceptive pill… and why we’re not told about them. 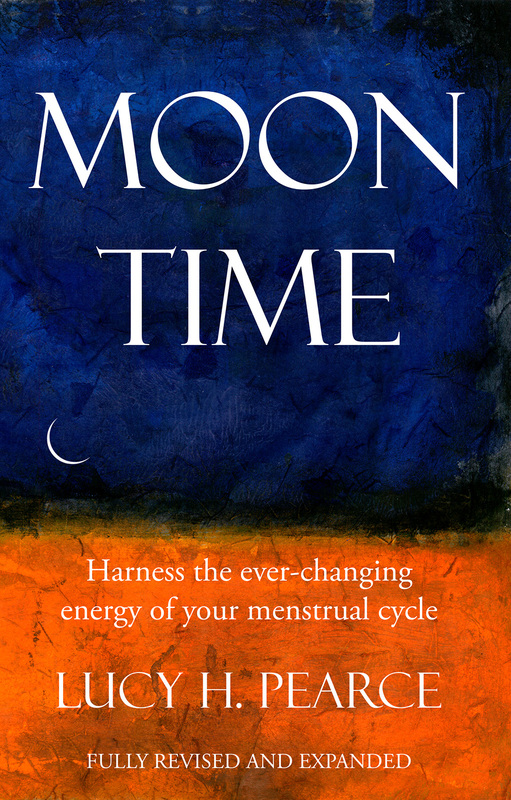 It gets a couple of mentions in the second edition of my book, Moon Time. THAT’S how important I think it is. During those decades when we’re trying to avoid getting pregnant, many of us seem to find ourselves settling for a method we’re not entirely happy with or switching from one hormonal contraceptive to another – from pill to implant to ring, for example – trying to find something that fits. The ads and inserts give us long lists of the possible side effects, but it doesn’t make them any easier to live with. Some non-hormonal options seem to have disappeared almost entirely (anybody try to get a diaphragm lately?) while more hormonal options have become available. So when author Holly Grigg-Spall let me know that she was launching a Kickstarter campaign to make a much-needed documentary on the topic… I said hell yeah, count me in! It is being executive produced by Ricki Lake and directed by Abby Epstein, the team behind The Business of Being Born. 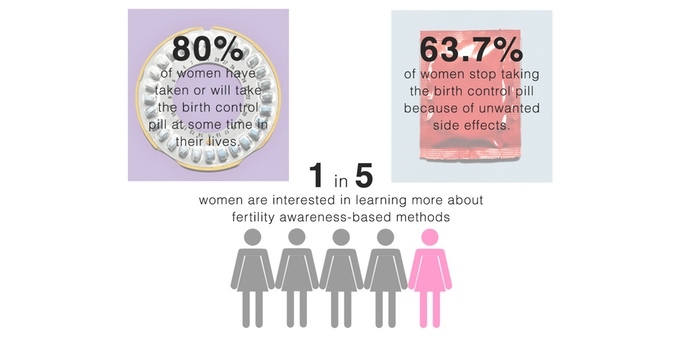 What made you want to shed light on this topic of hormonal contraceptives? Ricki: It really seemed like a very natural progression for us from ‘The Business of Being Born.’ Women spend more time trying to avoid pregnancy – a decade or more at the start, then they have babies, then they’re back to trying to avoid it for further decades. It’s an experience all women share. What we did for birth, we want to do for birth control, and empower women with more information and more choice. ‘The Business of Being Born’ was about body literacy and this project is the same – it’s about women knowing, understanding, and trusting their bodies. Abby: We’ve both had our own negative experiences with different kinds of hormonal contraceptives over the years. We know other women who have experienced the same thing. Holly Grigg-Spall sent us her manuscript for ‘Sweetening the Pill: Or How We Got Hooked on Hormonal Birth Control’ and something just clicked when I was reading it. For the first time, I was connecting emotionally difficult periods in my life to the use of the pill and it just made so much sense to do this film. We could approach birth control with women’s empowerment in mind, too. Holly: For me, I wrote the book because I had a pretty terrible personal experience with the Pill, which I used for ten years consistently. The book began as a blog that I wrote about coming off the Pill and my experience doing that, how it made me feel, finding alternative contraception, learning about my cycle and so on. That blog meant that lots of women got in touch to share their own stories. I realized the extent of this problem. I then soon realized it was really taboo almost to criticise the Pill or the culture around the Pill. That interested me. I saw ‘The Business of Being Born’ when I was actually writing the book and I made the connection right away. I wrote about the parallels between the birth and the birth control industries. I knew that the book could make the basis of a great documentary and that the absolute best people to do this would be Abby and Ricki. I set my sights on that. Of course, I am now over-the-moon about the film. A book is one thing, but a documentary like this can reach so many more women. We believe that the birth control pill was one of the greatest inventions of the 20th century. But we think women deserve more and better options, not less of them. Hormonal birth control often dominates the conversation, but, like a hospital birth or cesarean, it’s not always the best choice for all. The Kickstarter campaign highlights Fertility Awareness Methods as a non-hormonal alternative, particularly when supported with apps and new technology. How did this area come to your attention? Ricki: We got introduced to Kindara first through Holly’s book and we have met with them and discussed their work with their app and new wireless basal body thermometer, Wink. They want to democratize this knowledge, make it part of every woman’s education. They really think it could change things for the better when it comes to women’s lives. We also spoke with the makers of Clue in Berlin. They’re helping women track every part of their monthly cycle. It’s great progress for women’s reproductive health. Just this week we saw that Apple finally decided to add menstrual cycles to their HealthKit app. This is wonderful. It means other apps can sync with the native technology on the iPhone and it means more women will come to realize they can track their cycles and benefit from being aware of this information. They will be made aware of that option. Abby: Really the technology sector is leading the way here. We’re seeing them step up and help and support women who don’t want to or can’t use hormonal contraceptives. They’re making using Fertility Awareness Methods simpler, easier, less time-consuming and more approachable. They’re getting in the media and getting their message out there. And these people are also a wealth of knowledge because thousands of women are using their apps and talking to them about their cycles and experiences. A lot of women take the Pill for other issues these days, not just for contraception. Do you want to explore this? Abby: Absolutely. A couple of our film advisors work in this area – providing holistic, natural reproductive health support. They are working with women who have found the Pill hasn’t helped them long term. They’ve had side effects or the problems they had before have returned after coming off. They’re struggling to get pregnant. The Pill is prescribed for so many health problems these days and, although it’s definitely helpful and even essential for some women, it’s not the right treatment in all situations. In the Kickstarter video we highlight one part of this – how women are using it to regulate their cycles, even though they’re getting misleading information on that. Holly: This is such an important area. More and more women are on the Pill for everything from acne to PCOS and yet the Pill doesn’t treat these problems, it only masks them. When women come off, most commonly the issue returns and might even be worse than before. We think that women have to suffer with PMS, like it’s our destiny, inevitable, when actually a lot of hormonal balance-related problems can be treated properly long term with alternative protocols. Women deserve better. They don’t have to put up with this stuff. And they don’t always have to use drugs that give them side effects to fix the problem. For some women, as Abby says, hormonal contraceptives are essential treatment. But we’re at a point now where it’s being doled out like a cure-all and it’s just not. Why have you turned to Kickstarter to get this movie made? Abby: We spent a year going the traditional route and we met with a few networks and production companies. We had a lot of discussion and a lot of real interest. People were saying this film could be “the Food Inc. of birth control.” Everyone has a story or knows someone who has a story about this, it’s just that kind of subject. But, it doesn’t have that commercial pull. It seems, at first, a little scary even. Some people struggle to understand the perspective. We have to explain that it is not anti-birth control or anti-Pill. Instead it is pro-informed consent, pro-choice, and pro-knowledge. We want women to have more options for contraception, not less! We want them to have more access, not less! It’s a feminist film project. This topic is very politicized right now, so that takes a little time to explain. Ricki: People might not realize, but we didn’t actually make any money from ‘The Business of Being Born’ – it was hugely successful in many great ways, but we lost money. Documentaries are really passion projects. We know a grassroots effort is right for this project, it spreads awareness and gets the conversation going. Women will share their stories and may even share their stories for the film. They will have their experiences validated by this, which is so important. The campaign is doing really well, but we have to keep going strong to reach our goal now. Watch the trailer… And please do give them your support. We need to ensure that all women have access to objective information before they make their contraceptive choices. Whatever amount you can give, however small, will act as a vote of support for this project. You’ll be voting for you and for all the women, and men, in your life to be empowered to make fully informed decisions about how we manage our fertility and to have support in whichever choice we make. This entry was posted in Books, Contraception, Empowerment, Female Media, The pill on June 12, 2015 by Lucy H. Pearce. Image: ProCreate Project. Creative Direction: Dyana Gravina. Photography: Digpal Singh Rathore. I get approached by a lot of women, with a lot of exciting projects, not all of which I can get involved with. ProCreate jumped out of my inbox at me. 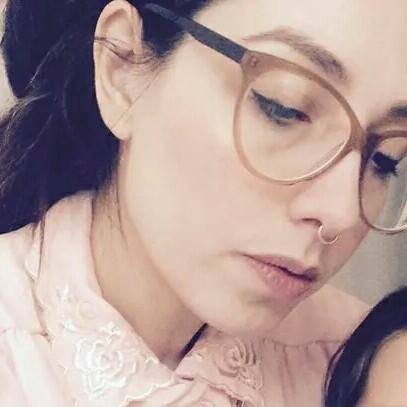 As a creative mother, who has written a #1 Amazon bestseller for creative mothers – The Rainbow Way: cultivating creativity in the midst of motherhood… I was SOOOO excited to find out about this project, from Dyana Gravina, an Italian artist and entrepreneur currently based in London. 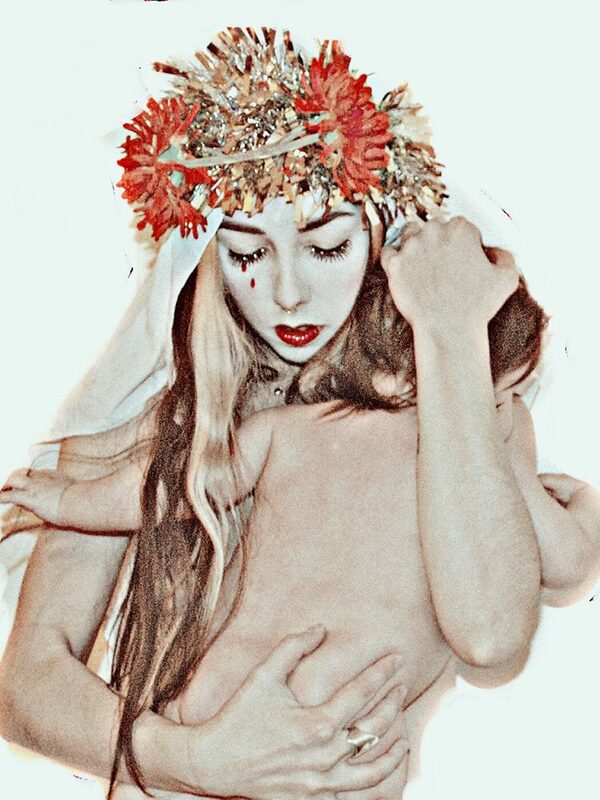 using what for me is a generative force, pregnancy and the wonder of motherhood! After the 5th month of pregnancy my body underwent enormous changes: my belly grew bigger and as my physical transformation became more apparent, that force inside of me also grew stronger and more physical. I was being influenced by that wondrous little creature that was generating a creative rush like I had never felt before, inspiring me to become even more driven and persevering. I was in full bloom. I wanted to drown myself in the ocean of creative ideas crossing my mind; start painting and playing music again. So one night, before falling asleep, I suddenly pictured the logo in my mind’s eye: a light bulb and a foetus…and I would call it ProCreate. Just like that it came to me. At first I thought it was the beginning of an event; I was not sure what I was creating it for, and I was alone when I started this journey. But now I have travel companions and I am building up my company, and it is all thanks to this creative process that I experienced in my life…when I least expected it! I struggled to find a community where other female artists could express this creative feeling or, indeed, any medium that talked about the connection between creativity and pregnancy. I wondered whether I might be going crazy; was I really the only woman on earth to be feeling this way? So I started advertising online for other female artists who may relate to me and my newfound passion and it was not long before responses started to pour in. Image: Polly Penrose, 7 Years of Self Portrait, A BODY OF WORK – contributor to ProCreate Project. By sharing my story with other artists I finally realized that what I felt was real. After a long period of solitude, I felt I had found something beyond my initial expectations: the friendships I have formed with all these women, and the stories I have heard from other females are simply amazing. I am not saying that every woman feels or should feel as we do, but there are many that do and I truly believe it is important to empower and support that – and them. 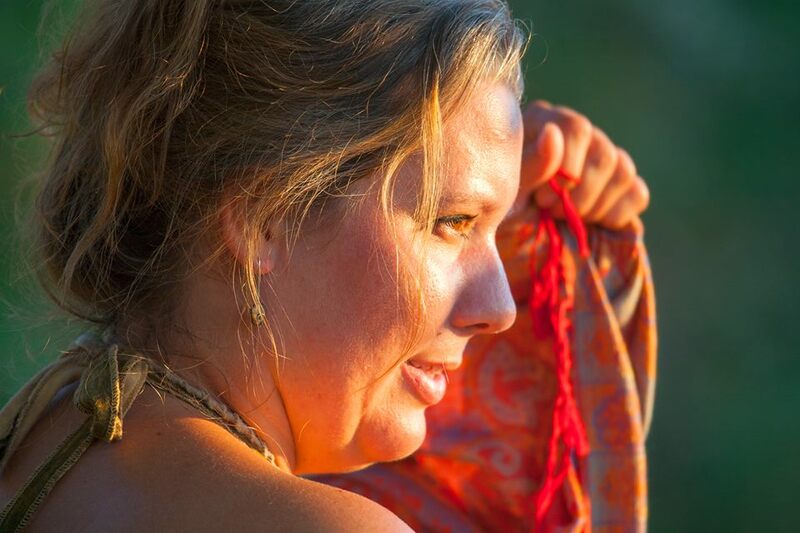 This journey helped me rearrange my priorities and find out what really mattered to me. There are women who have created incredible art and worked more passionately during pregnancy, and we definitely need to encourage this and make it possible in any way we can. 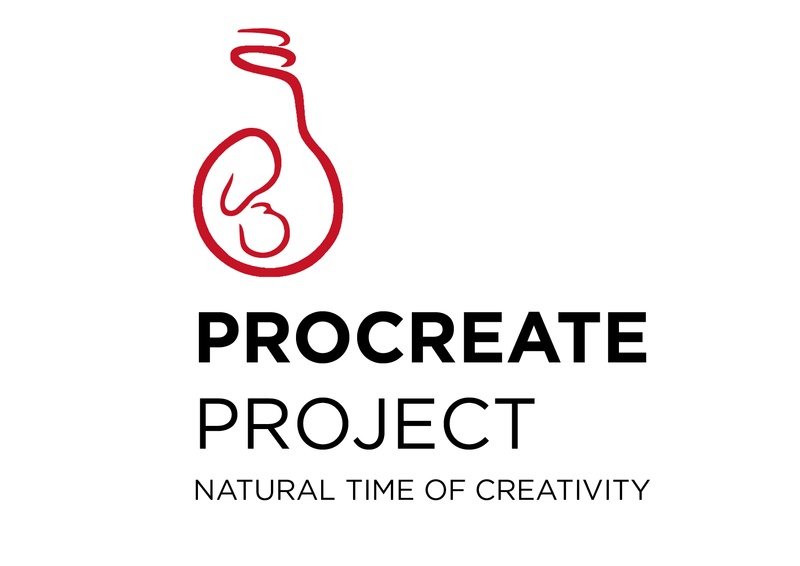 Procreate Project aims to become an agency with the determination to showcase and produce artistic creations with and for creative mothers / to-be. 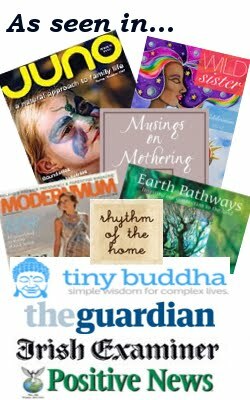 We work alongside the creative compulsion of mothers (to-be) who are feeling or have experienced this power, in order for them to advance productively and connect them with the forefront of creative business, correlating them with relevant movements, scenes and diverse niche groups in society. My book, The Rainbow Way: Cultivating Creativity in the Midst of Motherhood, and some of my art will also be included. You can see more of Dyana’s project, and learn how to get involved at her stunning website: www.procreateproject.com – all images on this post come from her site, with permission. This entry was posted in Birth, Empowerment, Mamahood, Motherhood, Pregnancy on June 9, 2015 by Lucy H. Pearce. When my daughter comes back from school and tells me everyone is calling her a drama queen because she stands up for her right to be treated with respect, I cringe and die a little inside. When she slams her bedroom door and I go in to listen and comfort her and she tells me boys wonder how much she costs in bed, I cringe and die a little inside. When she is angry at the injustice of being a woman even in this day and age because she feels she isn’t valued as much as boys, I cringe and die a little inside. When she is told to calm down, sit pretty, be quiet, behave because she’s a girl, I cringe and die a little inside. BUT when my beautiful daughter stands up to the ones who bring her down because of jealousy and hate and she is able to keep going and keep reaching higher and higher, I smile and I shine from the inside. And when my shy daughter asks me for her own Menarche Ceremony in order to bless and acknowledge her becoming a woman, I smile and I shine from the inside. And when my strong daughter shows amazing empathy for causes that are dear to her heart and she isn’t afraid to stand up for what she believes in, I smile and I shine from the inside. And when my proud daughter dresses as she likes and wears what she wants and isn’t influenced by others and refuses to conform, I laugh with glee and tell her she can, most definitely, without a doubt, do what SHE wants! How I wish I could take away the pain of growing up, the occasional anguish of being a girl. How I wish I could carry you far, far away from the negative experiences of growing up. I sometimes dream of a meadow, of us laying in the flowers and the scented swaying grasses, just you and I, safe, sheltered, protected from the harshness of this life. I cannot do such things, and so I rest in the comfort that I, my dear daughter, I have taught you well. 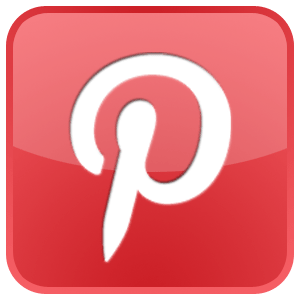 This entry was posted in Body image, Empowerment, girls' empowerment, Guestposts, Menarche, Poetry on April 21, 2015 by Lucy H. Pearce. I wrote before over on my personal blog, Dreaming Aloud about how saying sorry was epidemic for women… and was a major feminist issue. There’s a big buzz about a new Pantene ad in the US which calls attention to how the apology is too often used by women as a crutch and a way to downplay their power. Time magazine and Forbes are writing about it. And it does seem to be a trait which defines women, rather than men. And I’m not just talking about sorry when you bump into someone. But sorry if they bump into you and spill your drink down you. It’s madness. A cultural epidemic amongst women. And we do it unconsciously all the time. “Women know they have to be likable to get ahead. Apologizing is one way to make yourself more accessible and less threatening,” says Rachel Simmons, author of The Curse of the Good Girl. “Apologizing is one way of being deemed more likable.” Sorry is simply another way of downplaying our power, of softening what we do, to seem nice. 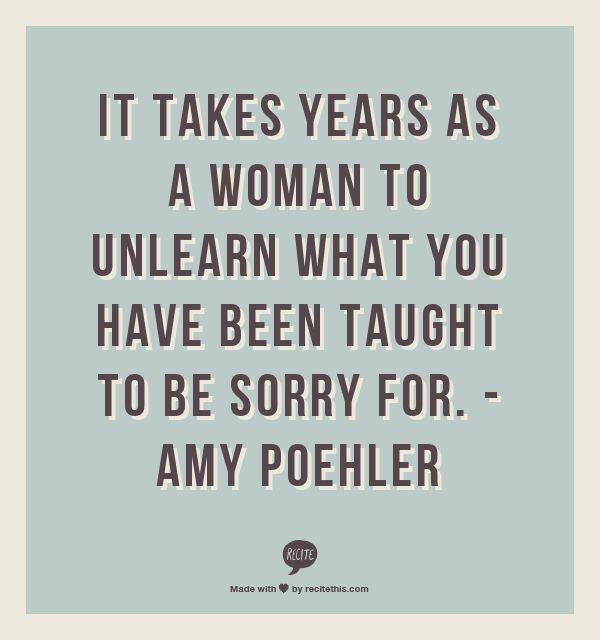 Reading another woman’s take on why she’s giving up saying sorry (for things that she’s not actually sorry for), I suddenly saw the root of it. I had previously thought it was sorry I take up space. But actually it goes deeper – it’s sorry… but no. And mama do we know what a can of worms THAT is for women. Women… for a very long time have not been allowed to, not safe to, say no. Our consent has not been our own to give. And so we have found ways to get around it. To soften it. Sweeten it. Sorry is the sugar that helps the medicine of consent go down. Because no by itself is just too dangerous, too inflammatory, to much of a sign of a woman in her power who needs to be taken down a peg or two. Or shown who’s boss. So next time you say yes… when you mean no. Next time you say sorry. When you mean no. How about just say no? This entry was posted in Empowerment, Reflections, Self-esteem on February 23, 2015 by Lucy H. Pearce. Women often ask these questions when they discover red tents. How am I a part of it? Learn the surprising history of the Red tent. 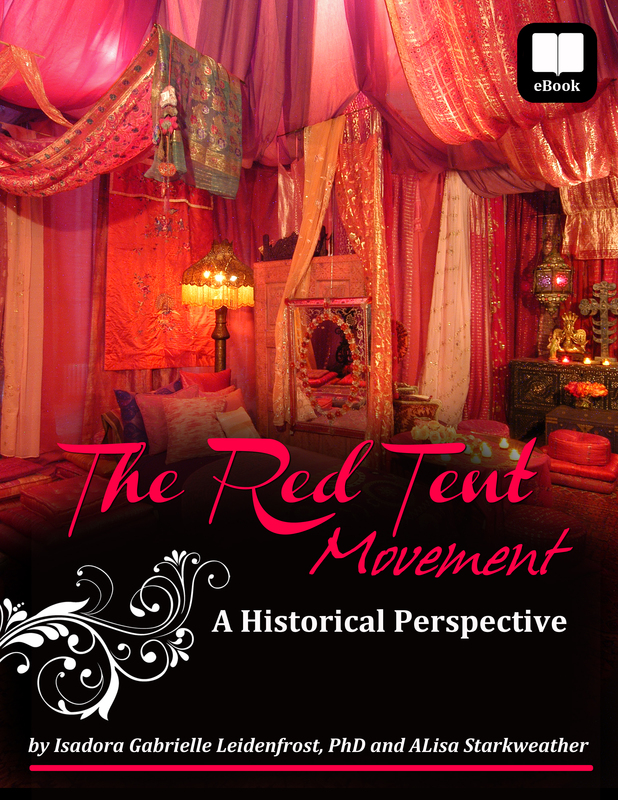 A new eBook & Audiobook titled “The Red Tent Movement: A Historical Perspective” by Isadora Gabrielle Leidenfrost, PhD and ALisa Starkweather. 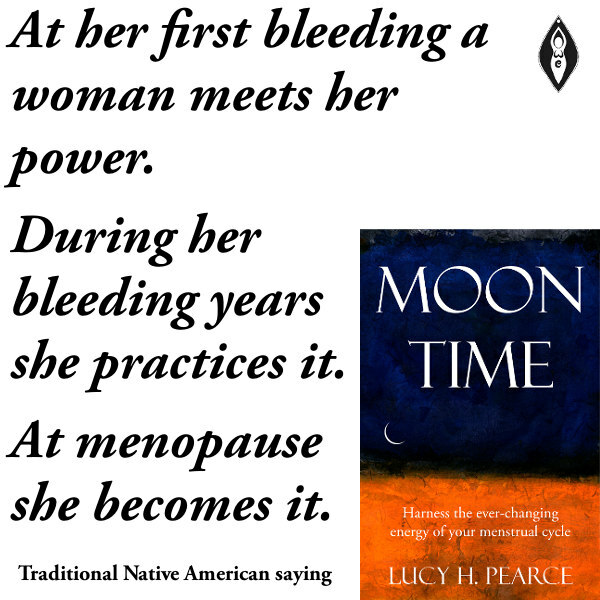 This entry was posted in Books, Empowerment, Guestposts, Menstruation, Red tents, Woman-craft, Women's Circles and tagged red tents on February 13, 2015 by Lucy H. Pearce.